In the previous post, I wrote about Yeohyeom that means people (mostly men I can say) hate women without obvious reasons. Then, we can say the Korean term “Yeohyeom” can be translated to misogyny in English. Well, both terms present similar meanings (e.g.strong dislike of women) but I think they’re a bit different in some ways. Whenever I have to write my thesis about some Korean cultural things, I felt difficult to find the right word. I’m not sure how the word ‘Misogyny’ is using in English-speaking world. But the word misogyny has more complex meaning about ‘dislike of women’ I understand. However, the word Yeohyeom is now too fragmentarily understood and spoken by people (mostly men) who strongly dislike women in Korea. In social media, some of men said, “I don’t have Yeohyeom because I like women, lol (laugh)”. It doesn’t matter whether you “LIKE WOMEN” or not when we talk about Yeohyeom. It is about your thinking, attitude, perspective, respect to women as human beings like you. 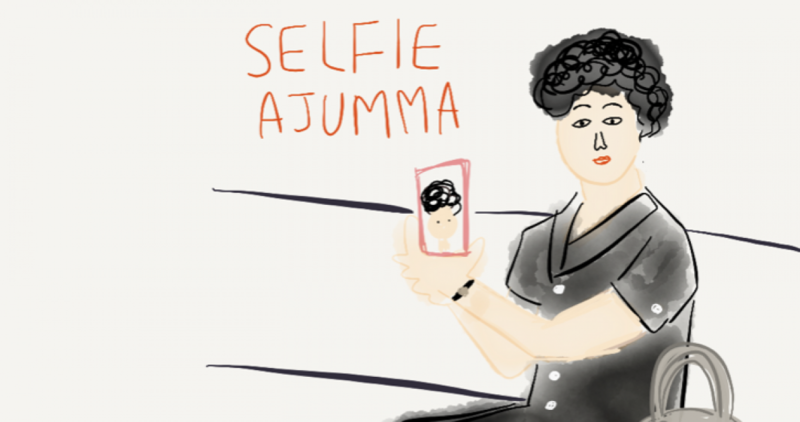 Posted on 30 May 2016 30 May 2016 by moon ajummaPosted in 스마트 아줌마 (한국어), Smart Ajumma (English)Tagged ajumma, 편견, 아줌마, 여성혐오, 여혐, Korean women, misogyny, social media, Sora.net, women against to misogyny, women's act, Yeohyeom. Previous Previous post: Respect ‘others’.